June 15th 1974: Keel laid. 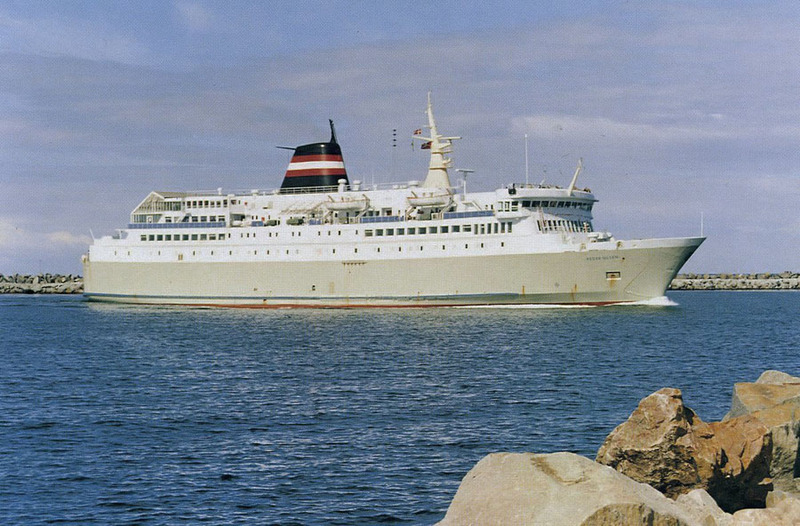 September 28th 1974: Launched as KATTEGAT II. 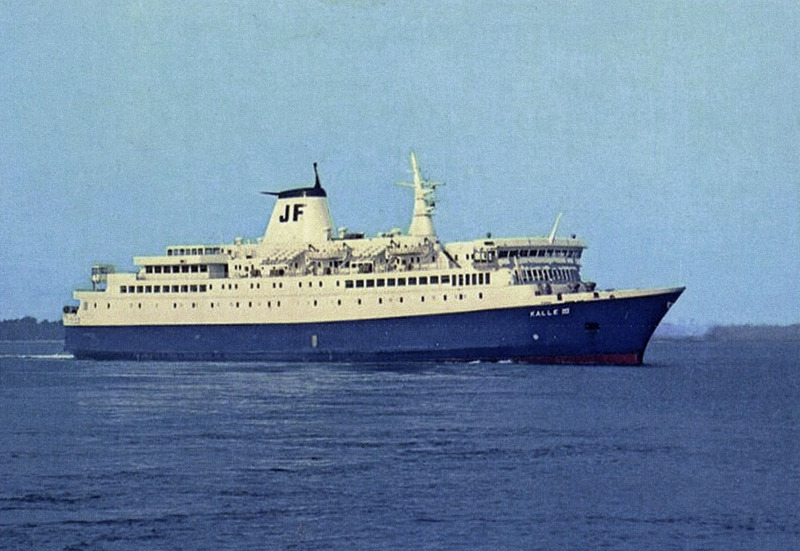 December 18th 1974: Delivered to Færgefart A/S, Juelsminde, Denmark as KALLE III. 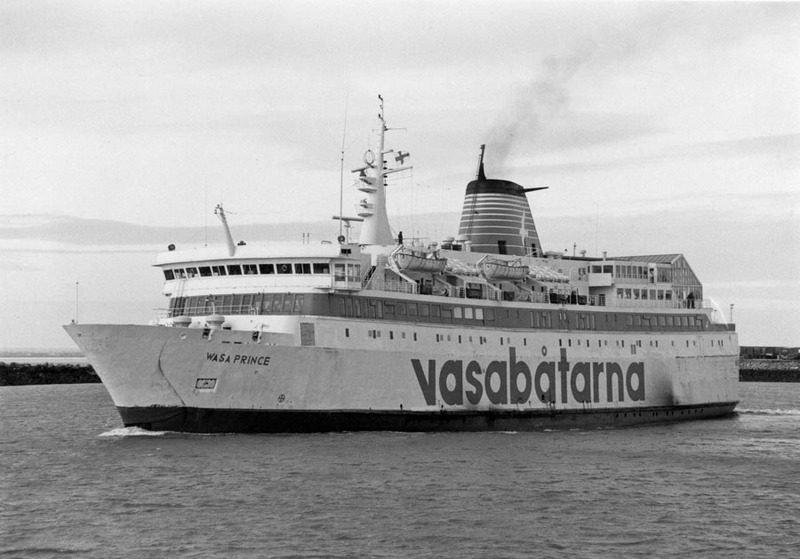 December 1974: Introduced between Juelsminde – Kalundborg. 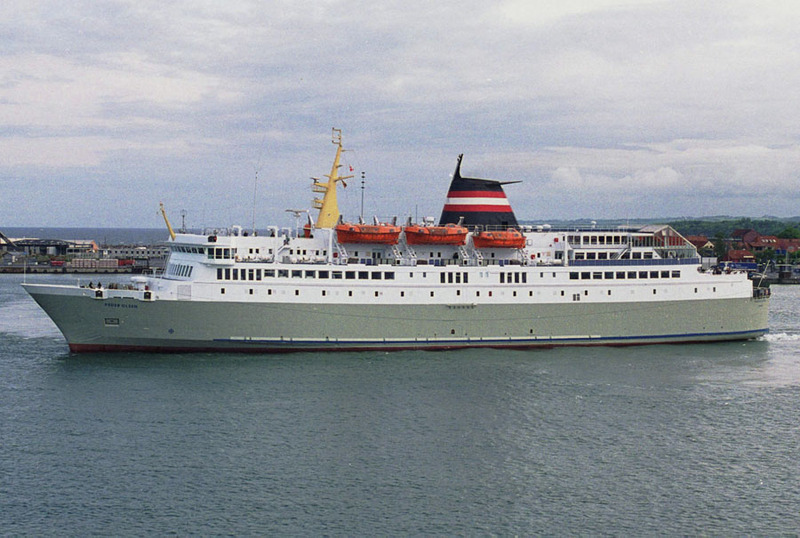 1981: Sold to K/S Difko XVI, Juelsminde, Denmark. 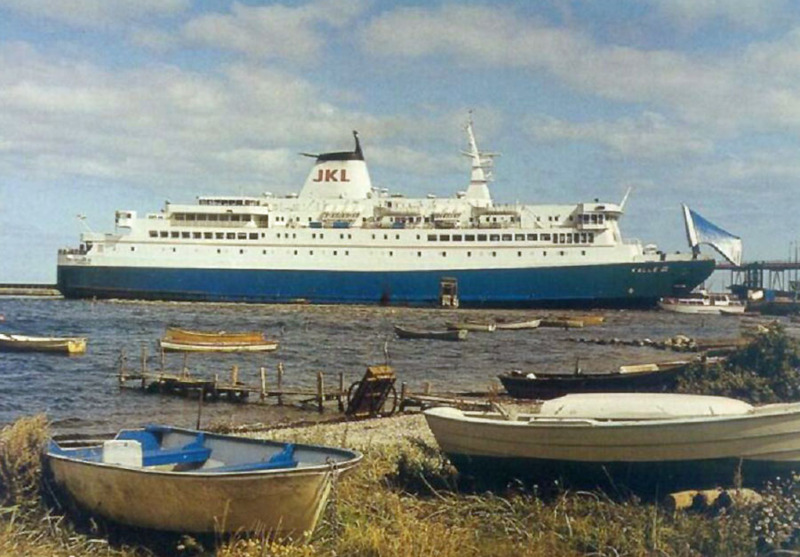 June 4th 1983: Final day operating between Juelsminde – Kalundborg. 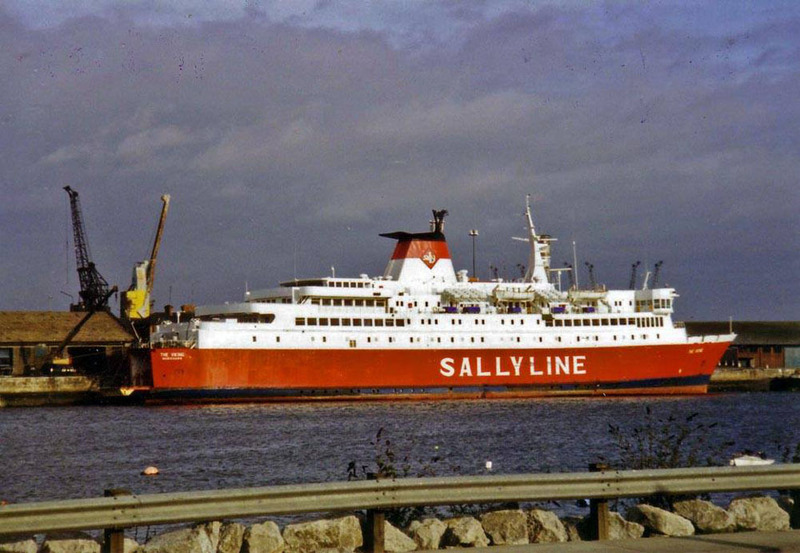 June 1983: Chartered to Rederi Ab Sally, Mariehamn, Finland. Transferred to the Finnish ships register. 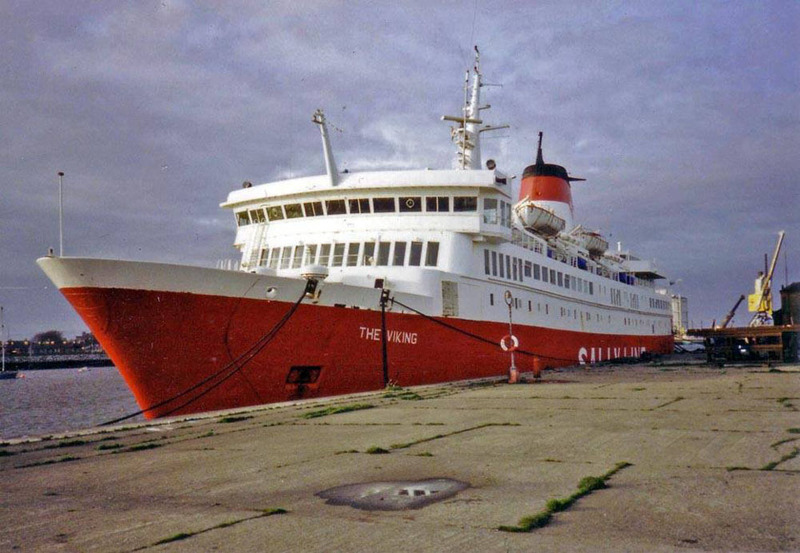 1983: Underwent a £3 million refit at her builders to make her suitable for Channel operations. 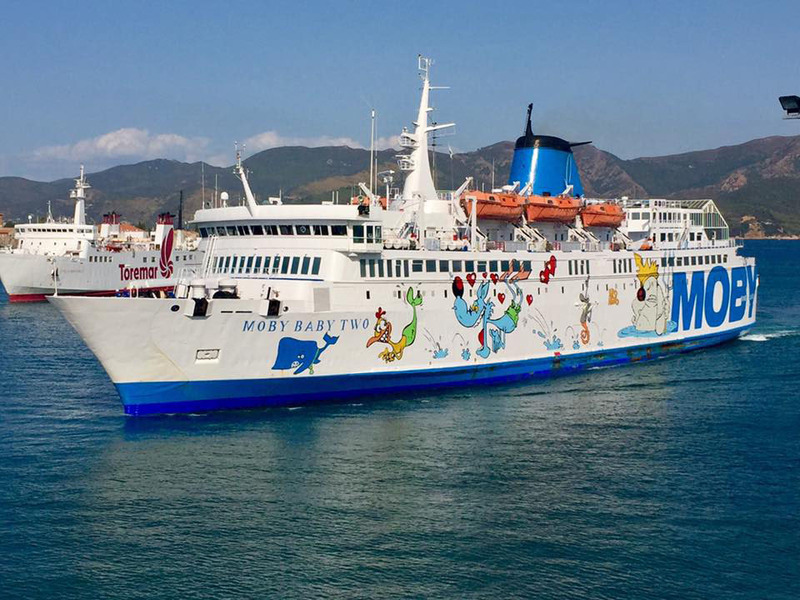 These included the fitting of stabilisers, a large duty free shop, an unusual feature and an escalator to carry passengers from the car deck to the public lounge area. 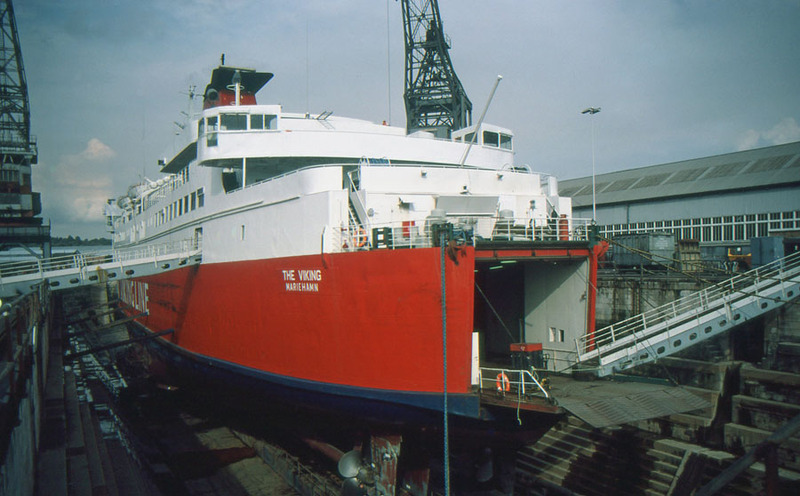 July 1983: Renamed THE VIKING. July 8th 1983: Intended introduction date delayed owing to “teething problems”. 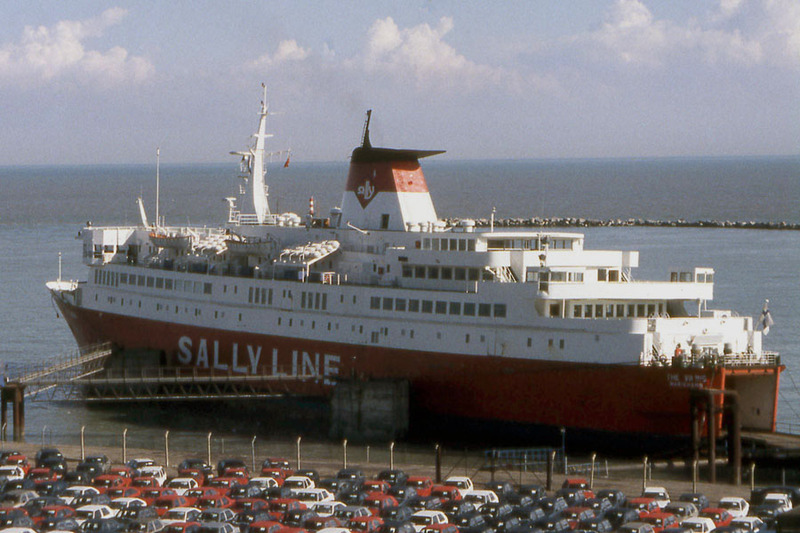 July 17th 1983: Began operating for Sally Line between Ramsgate – Dunkerque. 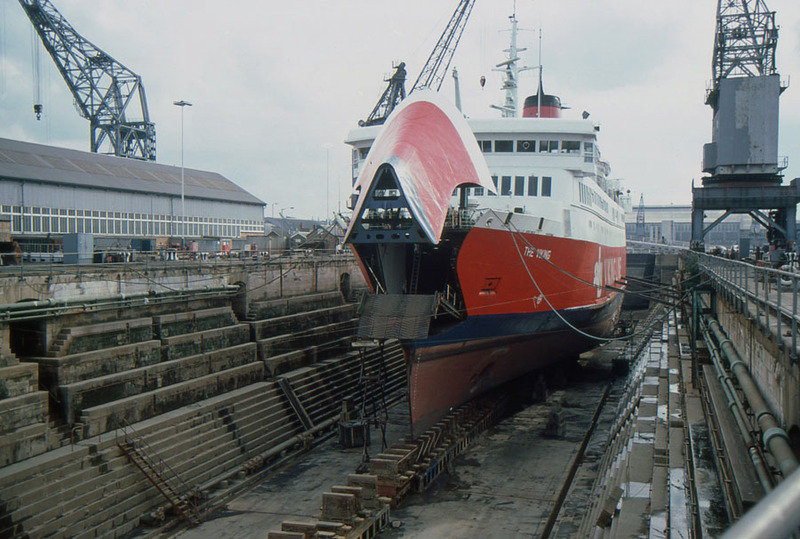 October 1984: Overhauled at Thames Ship Repairers, Chatham. 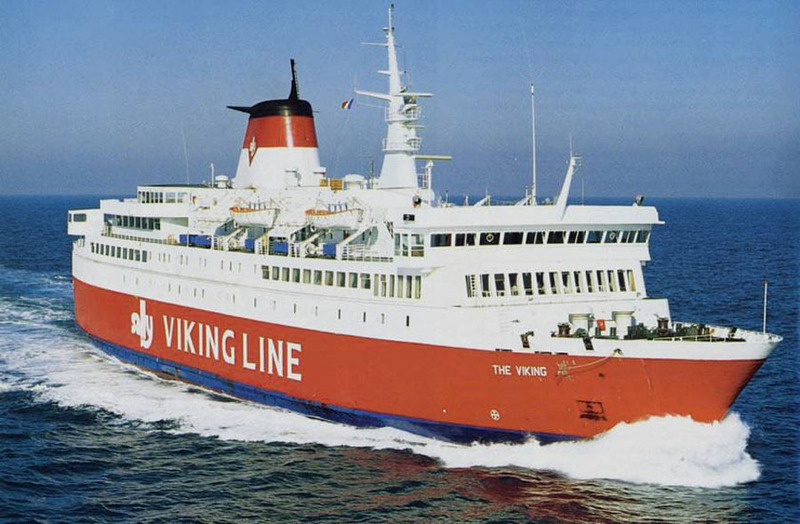 1985 (early): The company dropped the words “the Viking” from its trading name. 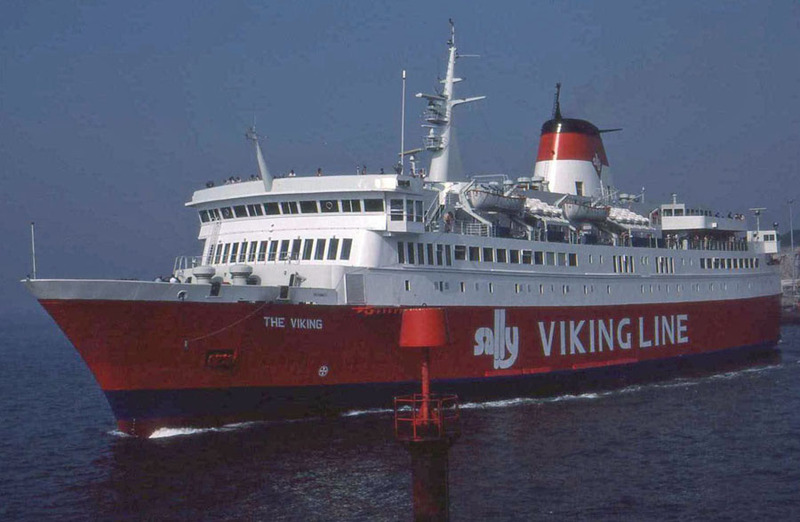 Previously marketed as “Sally the Viking Line” it became simply “Sally Line”. 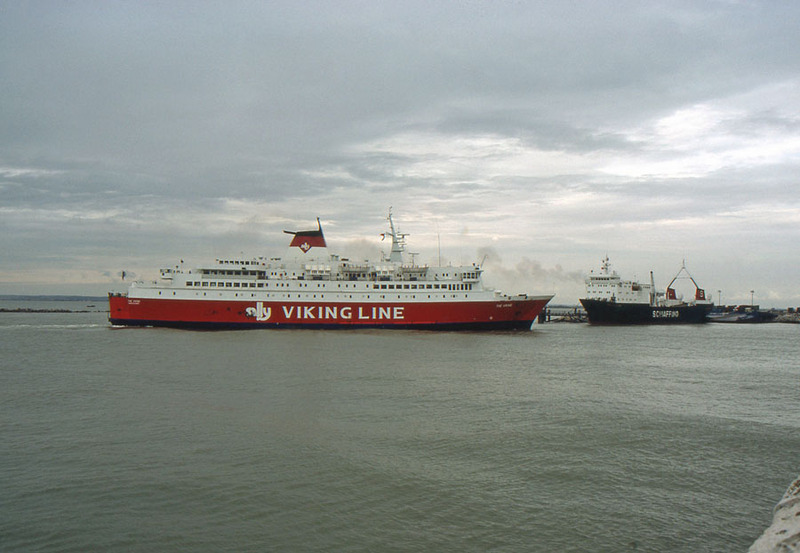 January 13th 1986: Off service for five days of overhaul and en-route to Dunkirk took part in an air/sea rescue exercise simulating the evacuation of a ferry at sea in an emergency situation. She lay in Margate Roads with an imaginary list and electronics failure. 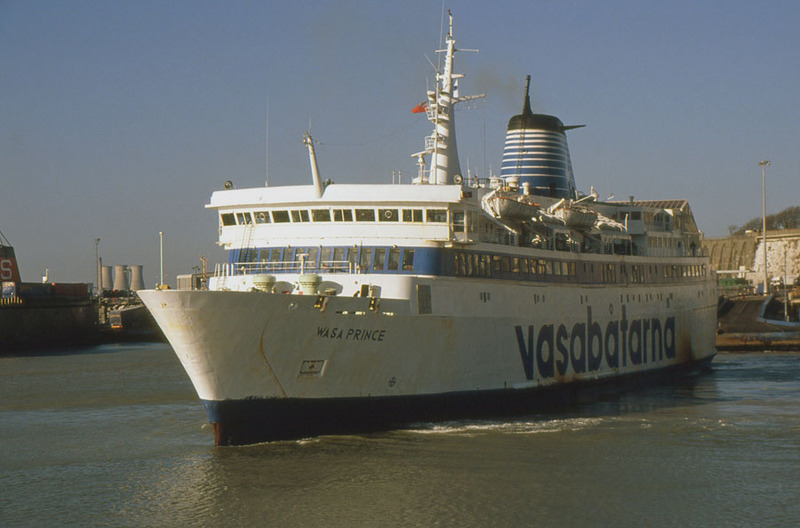 December 20th 1988: Went to the assistance of SALLY STAR which had suffered an engine-room fire half an hour after leaving Ramsgate. Attempted to take the other vessel in tow, but was unsuccessful. 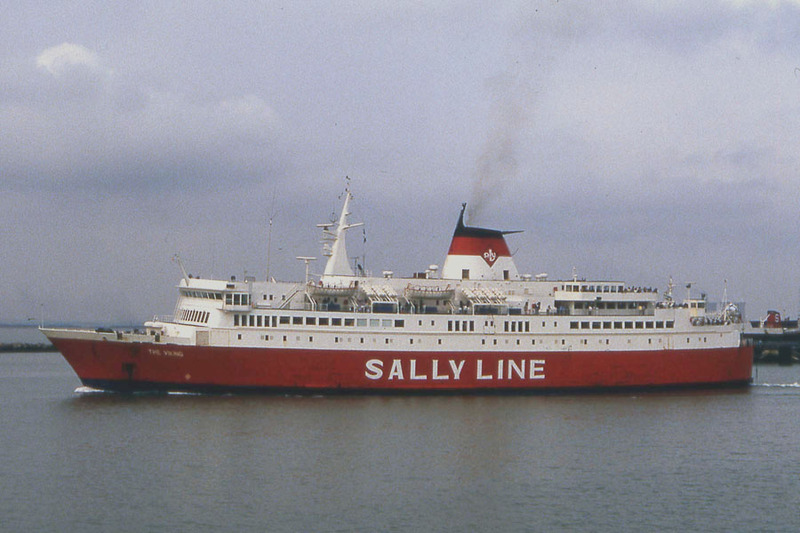 January 7th 1989: Charter to Sally Line was completed. 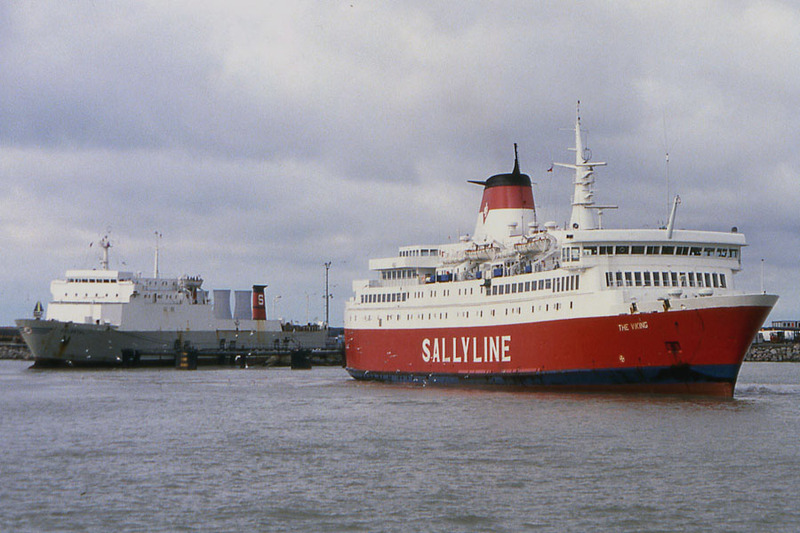 January 1989 – March 1989: Chartered to B&I Line, Dublin. 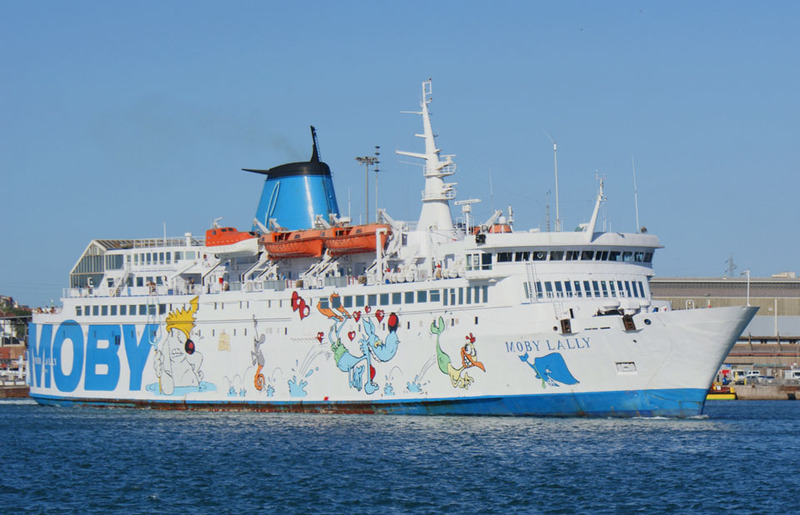 For services between Holyhead – Dublin, but considered unsuitable, so laid up in Dublin. March 1989: Arrived at Rickmers Lloyd Werft, Bremerhaven, Germany for rebuilding and refurbishment for her likely new role. 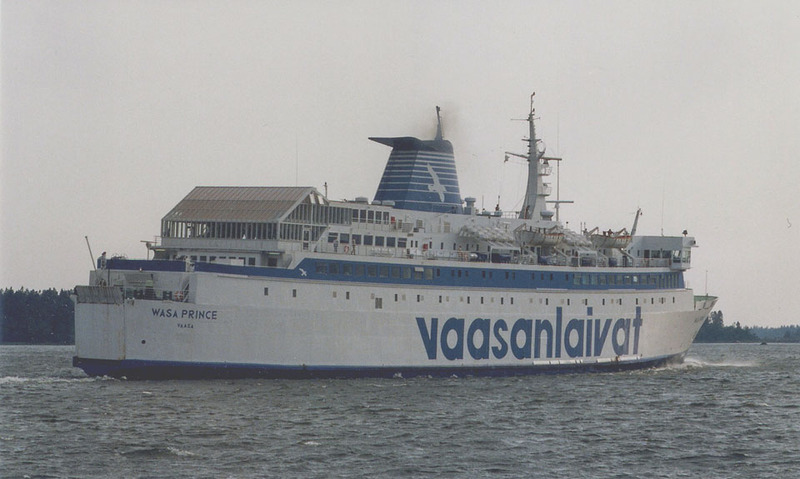 May 1989: Chartered to Oy Vasabåtarna, Vaasa, Finland. Renamed WASA PRINCE. 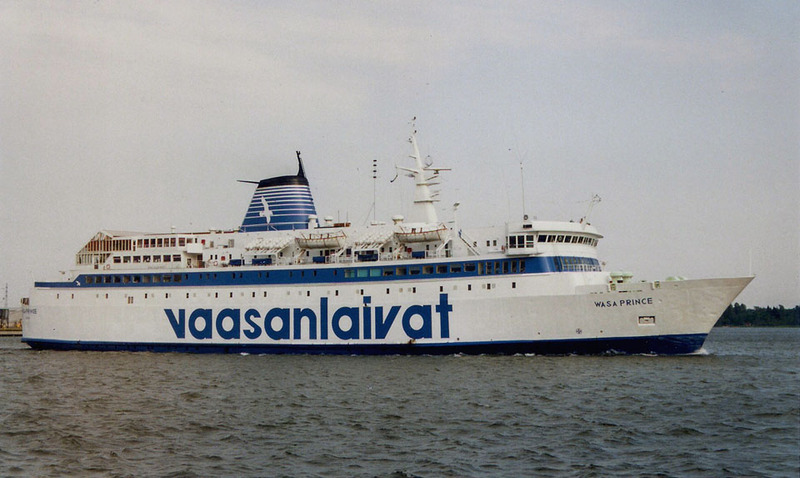 May 1989: Commenced service with Vasabåtarnas between Vasa – Umeå. 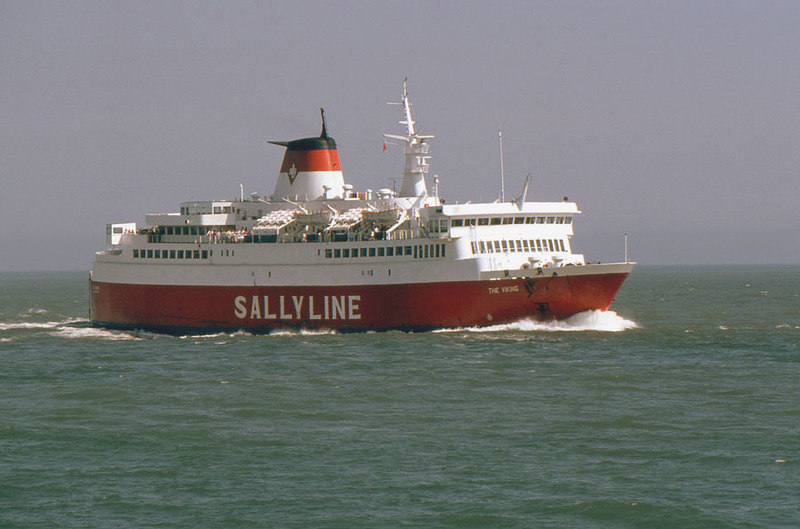 December 27th 1989 – April 1990: Chartered to Sally Line, operating between Ramsgate – Dunkerque. 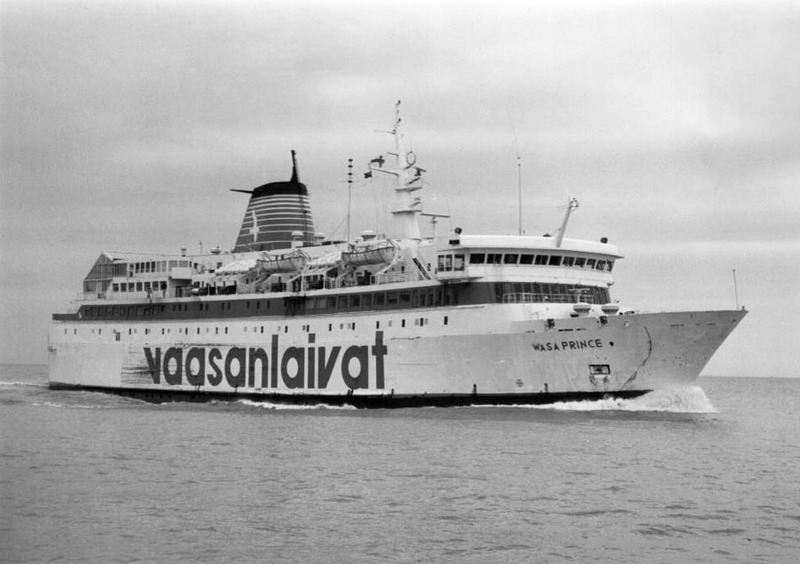 April 27th 1990: Commenced service between Vasa – Umeå. 1991: Sold to EffJohn Group. 1991: Sold to Difko Leasing International A/S, Holstebro, Denmark. 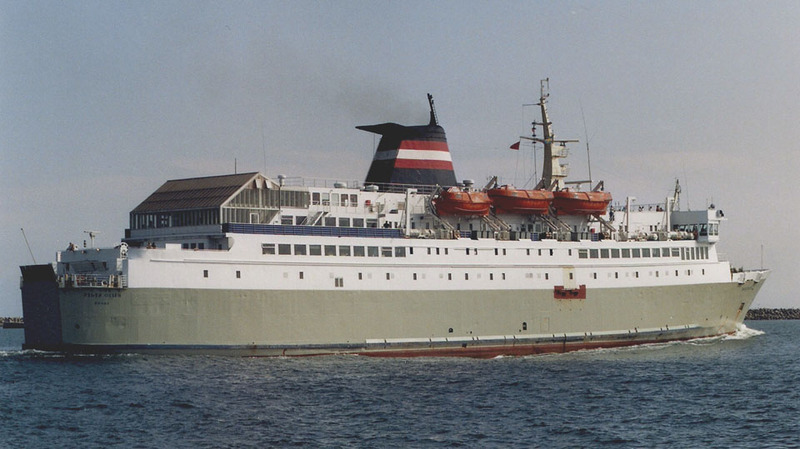 May 1991: Chartered to Bornholmstrafikken, Rönne, Denmark. Renamed PEDER OLSEN. 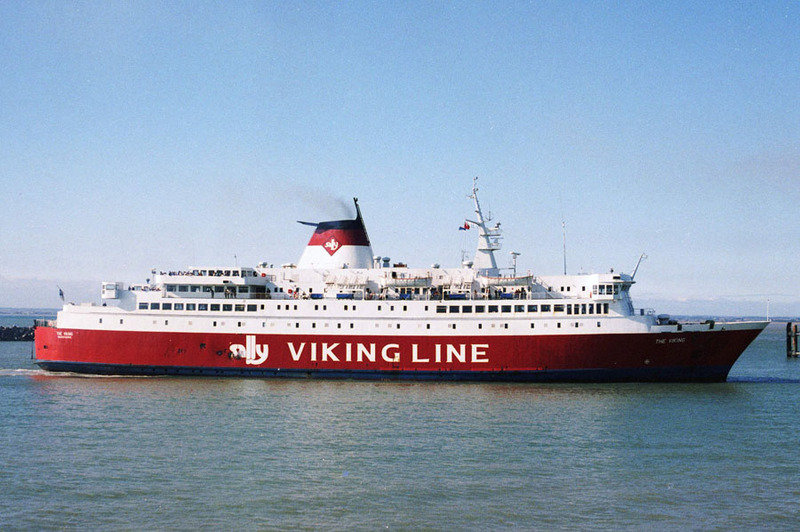 June 3rd 1991: Commenced service between Rönne – Ystad, Rönne – Copenhagen also Rönne – Mukran. 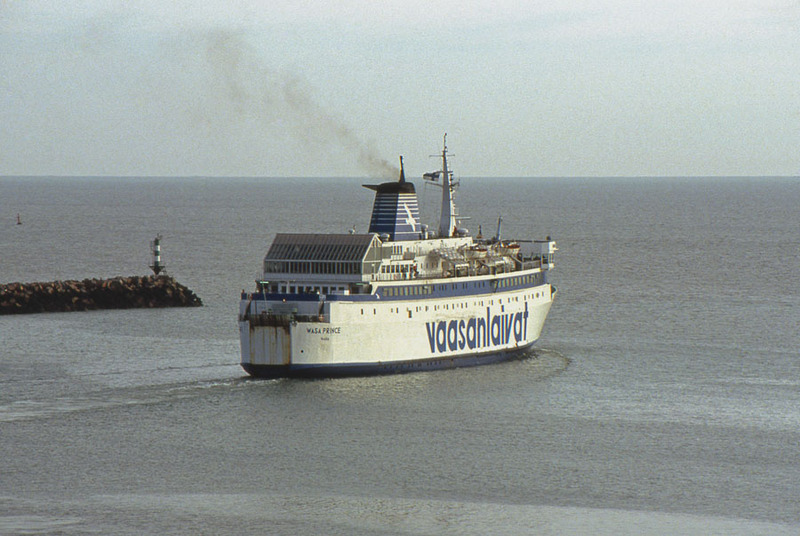 June 24th 1998 – September 2nd 1998: Operated between Rønne – Swinoujscie. 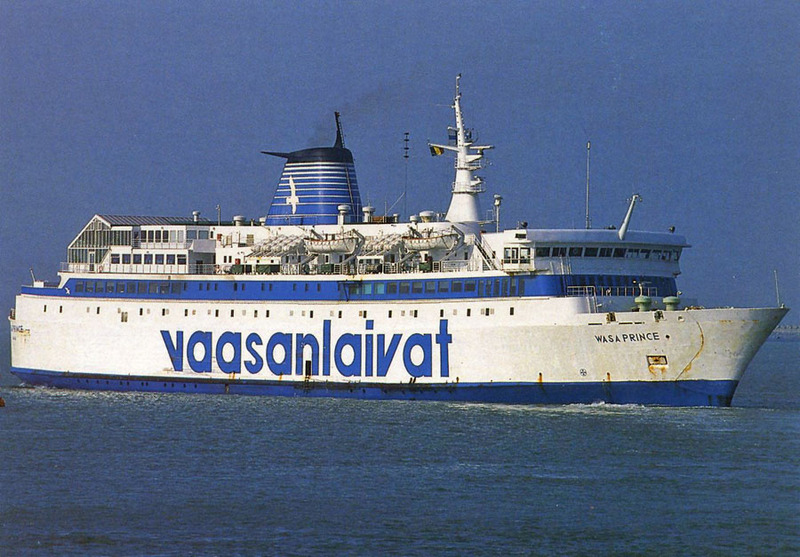 October 29th 1999: Laid up in Rönne, only until she could be moved to Fredericia. January 2000: Sold to Nav. Arcipelago Maddalenino Spa, Naples, Italy (NAVARMA – Moby Lines). 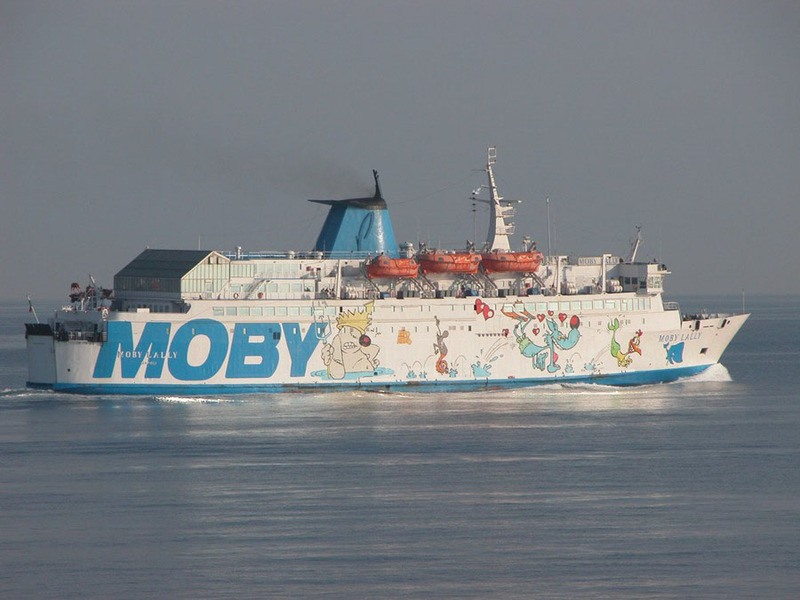 January 3rd 2000: Renamed MOBY LALLY. 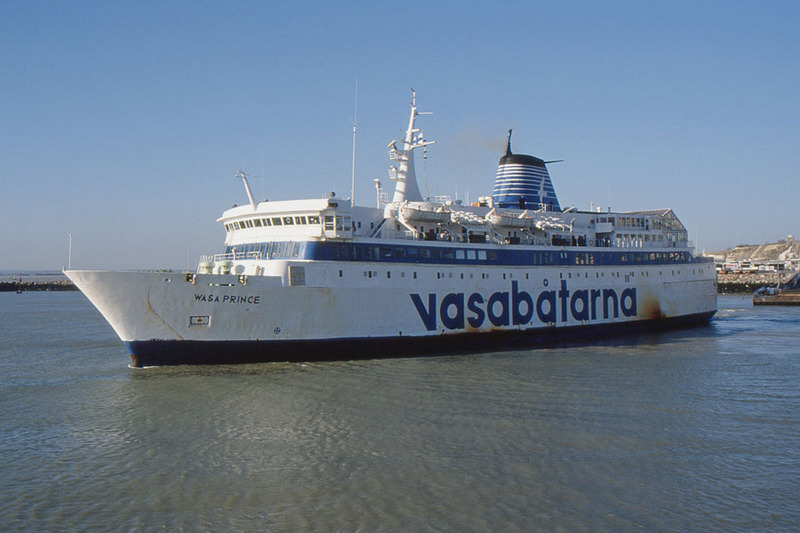 January 14th 2000: Left Fredericia for Italy. January 22nd 2000: Arrived in Livorno. 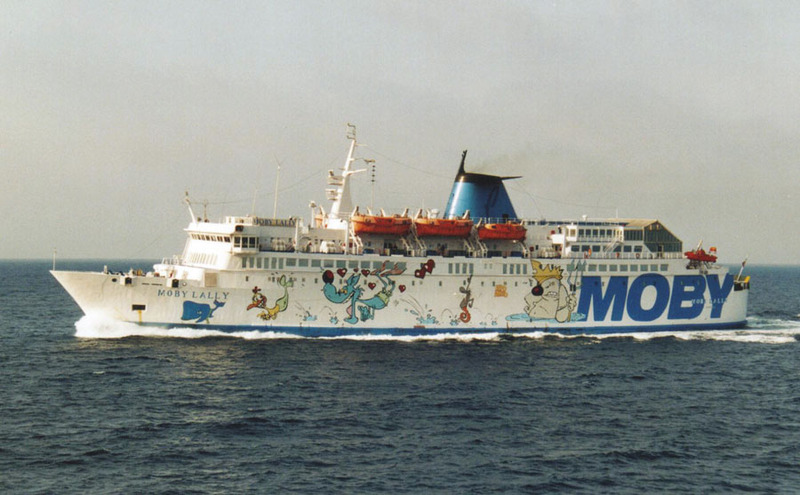 June 1st 2000 – September 11th 2000: Operated between Genoa – Bastia. 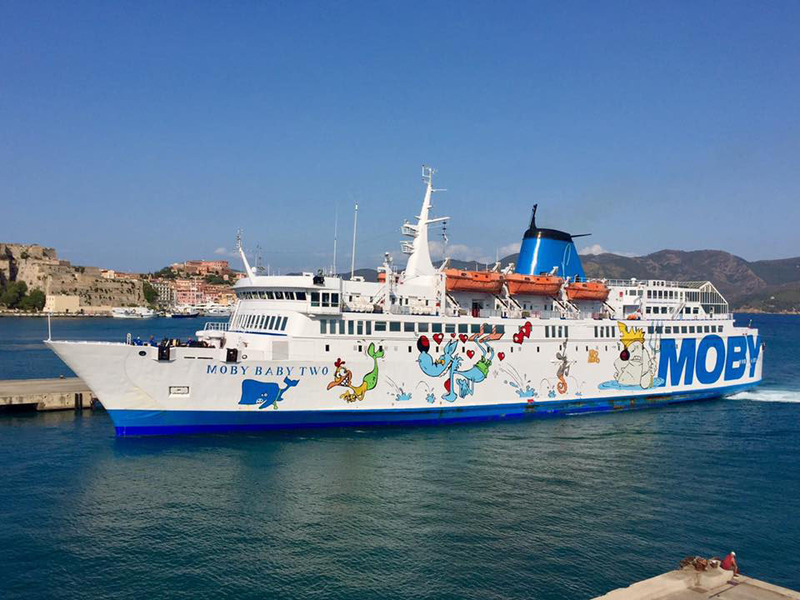 September 2000: Commenced services between Piombino – Portoferraio. 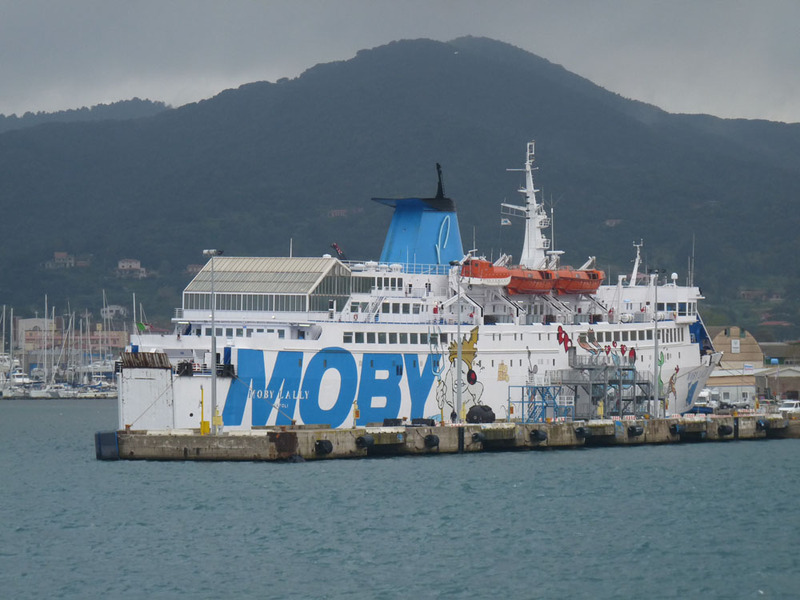 2004: Services between Livorno – Bastia. 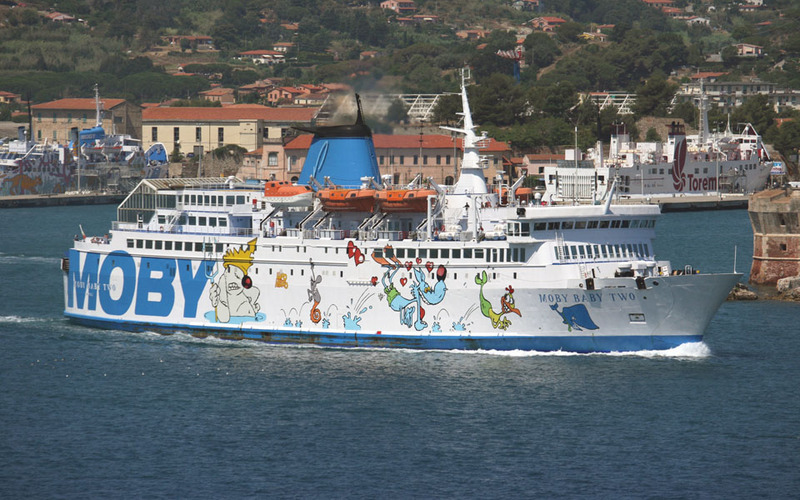 January 2016: Remains in service with Moby operating between Piombino and Portoferraio. 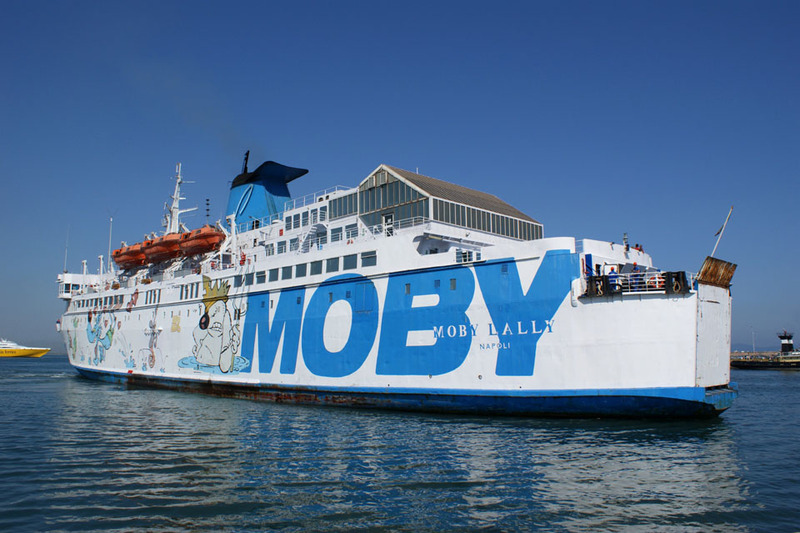 January 20th 2017: Renamed MOBY BABY TWO. All information is believed to be correct and no responsibility is accepted for any errors or omissions found. All items included in this article are subject to © copyright. We would like to take this opportunity of thanking: Robert Cox, Malcolm Cranfield Gary Davies (Maritime Photographic), Carsten Dettmer, Benoit Donne, Tony Garner, Ted Ingham, Pieter Inpyjn, Alessandro Di Napoli, Craig Nelson, Ken Larwood and Andreas Wörteler their assistance in producing this feature.